One of the best things about working at the Naval War College was John H. Maurer, who is currently the Alfred Thayer Mahan professor of Sea Power and Grand Strategy in the Strategy and Policy Department. John is an all-round fine fellow: a true gentleman and scholar. Before I left Newport, John and I decided to put together a collection of essays on the 1930 London Naval Conference. The book moved forward at a snail’s pace, but the end is now in sight. I’m delighted to announce that it will be published by the Naval Institute Press before the end of the year. At the Crossroads Between Peace and War provides fresh perspectives on the international strategic environment between the two world wars. At London in 1930, an important arms control agreement was concluded by the United States, Great Britain and Japan to control the international competition in naval armaments. In particular, agreement was reached about how many heavy cruisers the major naval powers could possess. On the surface, the London Conference was a success – the great powers cooperated to control their rivalries in armaments. But France and Italy refused to participate in the treaty, and within a few years growing antagonisms among the great powers manifested itself in the complete breakdown of the interwar arms control regime negotiated at London. In this volume, a team of leading international scholars shows how the London Conference represents a turning point in the history of the interwar period. An examination of yesterday’s competition among the great powers to fight at sea offers sobering lessons for national security professionals concerned with the current-day naval, cyber, and aerospace competition in Asia. 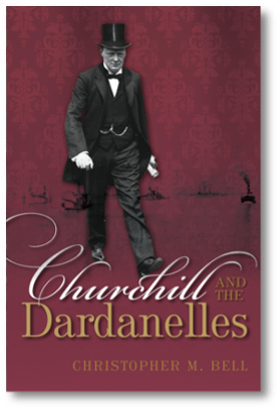 "A skilful treatment of a key episode in naval history that expertly links international diplomacy to naval power. Particularly important for all those interested in arms control, naval history and the background to World War Two." "Maurer and Bell have brought together a formidable ensemble of contributors, each a senior and leading naval historian in his own right. ... these lucid and stimulating essays demonstrate that the London naval conference of 1930 really does deserve much wider attention. They can certainly be read with substantial profit by anyone interested in the broad patterns of naval history and great power politics in the contemporary era.